Hi friends! Thanks for all of your compliments on my paperless ATC, it was wonderful to receive such positive feedback. Sitting alone in my art studio/bedroom (except for the cats, of course), it's hard to tell if my crafty attempts are a) silly b) mediocre c) kind of beautiful. Thank goodness for supportive bloggy friends. I am still obsessed with Pride & Prejudice. I'm not sure why some stories speak to the psyche in such a profound way, but that one has captivated me. I'm in the middle of watching the BBC television series from 1980 and getting a big kick out of it. It is sooooo low budget it's like watching a school play, but that adds to the charm. I like the actress who plays Elizabeth and the actor who is Darcy. So far it is extremely faithful to the book, even the dialogue. Last weekend I made an important discovery at a used bookstore-- Pride & Prejudice is almost a genre on to itself. 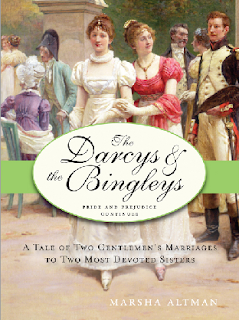 There are books that tell the story through Darcy's eyes, describe the early years of their marriage, relate stories of the Darcy's imagined children, cousins, nieces, nephews, etc. There are even a couple versions with Darcy as a vampire! Did everyone know about this but me? I'm so happy to have a seemingly endless supply of P&P books to read. In non-Darcy news, do you remember that I mentioned we have Barn Owl babies at my local park? I haven't seen them yet, but a kind blogger left a comment on that post with a link to the Barn Owl Box, streaming live video of a mama Barn Owl named Molly and her four babies. It is fascinating! (And sometimes kind of gross.) During the day it's mainly the babies alone in the box, but if you tune in between 8:30pm and 9:30pm PDT you might see mama Molly (or papa McGee) land on top of the owl box with a food delivery for their babies and toss it inside. It is almost as addictive as Pride & Prejudice. Last but not least, pop over to GerryArt for a chance to win a cute tote and two wallets, handmade by Gerry. Tomorrow is the last day, so please hurry! 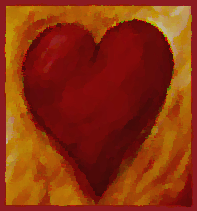 I do not know or understand why your were so surprised to received so much positive feedback on you BEAUTIFUL ATCs. I like your obsession with Pride & Prejudice. Fun. 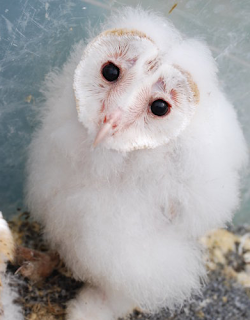 Oh that picture of the baby owl is too cute. I sure hope a nest appears in our owl house soon! Wow -- those barn owls are so fascinating! I'm always a little worried about clicking on those links -- someone once told me they were watching a hummingbird nest just at the time that some predator came and helped himself to a baby or two. Do you think those baby barn owls are going to be all goofed up by having that light on them 24/7? Or maybe it shuts off at night or something? Love that baby owl and sounds like you are really enjoying Pride and Prejudice! Have a blessed evening my friend! Hugs! That owl is so cute (and you know I'm not a 'bird' person so that's high praise). I'm sure it is fascinating to watch the mama and her babies. Here in Edmonton, we have the Goose Cam for entertainment. Well, how cool - all those Pride and Prejudice versions. You'll be busy for a while. Maybe you'll be inspired to write your own P&P book! Ok, that owl is just beautiful and what a wonderful expression on her face! 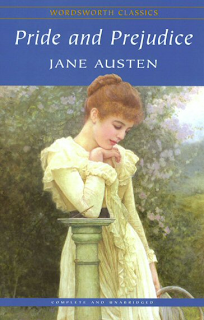 Pride and Prejudice was my first encounter with Jane Austen and still my favorite, too. Love your ATCs...paperless or not! Haha, it's the Jane Austen cult. I've read some of the lighter fare - Lost in Austen, and a few others. My daughter has read the zombies and loves them! You know, you just can't get enough of Austen. I'd suggest Elizabeth Gaskells. You'll love the BBC dramas. Oh, the baby owl is so cute! I can't bring myself to partake of the spin-off books surrounding the people of P&P. I think I must feel disloyal to Jane Austen or something. ;) But seriously, I do think Pride & Prejudice may be the best book of all time. Or at least in the top five.